Nobody likes data caps. They’re an aspect of the mobile era that we all grudgingly accept, but everyone basically hates them. Enter Verizon Wireless! The mobile behemoth has hired an analyst to rescue us — but not, alas, by removing data caps. 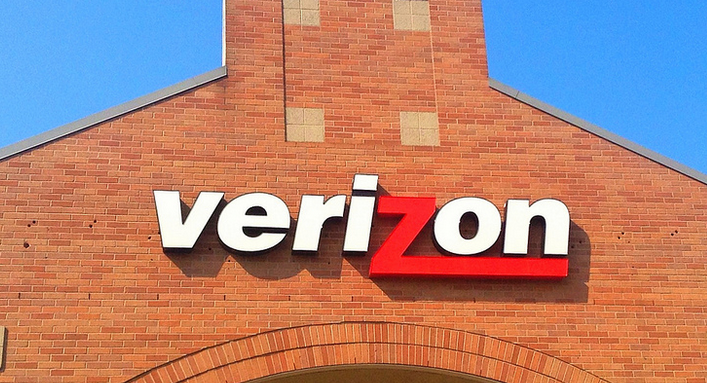 No, no: Verizon’s analyst is here to tell us why we should actually love them. Verizon Wireless published the analysis on their website last Friday, and it’s a gem. Or at least, a highly polished turd. The analyst’s real, actual argument is this: if data caps went away, everyone would use more data. If everyone used more data, mobile companies would have to upgrade their networks. If mobile companies upgraded their networks, they’d have to spend money. And if they had to spend money, they’d recoup it by upping customers’ bills. So you see, data caps are for you, the customer, to prevent your monthly wireless bill from its inevitable upward creep. That last part is in fact true. Most users don’t come anywhere close to maxing out their mobile data plans. Pretty much everyone flicks their phone over to wifi the second they get home, and again any time they are hanging out someplace with a wifi hotspot. Not only will it save money for the cost-conscious customer, but also wifi networks are generally faster and more reliable than mobile ones, even as 4G LTE buildouts continue. But if those data caps don’t actually affect anyone, why do we need them again? Consumers already aren’t using that data, so removing limits that to most people are hypothetical anyway will somehow… magically increase the use of data? Realistically, we have data caps because they generate revenue, of course. Not only in overage costs for low-limit plans, but also in monthly costs for high-limit plans that cautious consumers buy and then don’t really use the bulk of. Wireless broadband is still a more limited and more easily-congested resource than wired, it’s true. Mobile companies do need to have smart policies in place for making sure all their customers can access the services they pay for. But data caps are neither smart nor responsive policies; they’re money-making tools and marketing gimmicks. Mobile companies’ own actions show just how pointless their data caps are. AT&T joined Verizon years back in killing unlimited data plans, only to provide them again on a limited basis to new customers. T-Mobile unveiled a data rollover plan late last year, with AT&T following suit in January. (Verizon has no intention of following suit.) Sprint, Verizon, and T-Mobile have all been falling over themselves to increase the data available to their subscribers. Yes, all of the mobile companies are consistently building out their networks — but none of them have magically doubled the available spectrum capacity. They’re just all finding new ways to attract customers with promises of data that only a small fraction of consumers will ever actually use. Verizon is not only a fan of data caps not only on their wireless service, but also on residential wired broadband — even though the usage management case is much less strong there. Cable industry execs are even on the record saying that home service it’s explicitly not about easing congestion, but about making more money. Meanwhile, the high costs and low data caps applied to mobile broadband still prevent it from being a truly competitive option for most consumers. If mobile is going to be the competition savior that everyone keeps claiming it is, we’re going to have to get beyond the data cap world.